When you go for a cycle ride on your Brompton, you are almost guaranteed to see lots of things that take your interest. 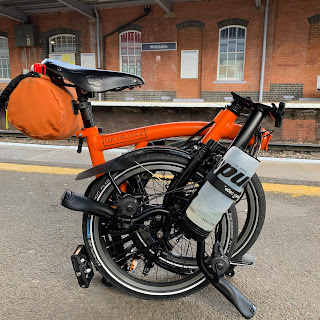 Rather than write about it I will let the short video clip tell you all you need to know about a recent solo ride I went on, to nowhere in particular. Nice video. Lovely views of the Thames. The cygnets were very cute!